Sooooo the time has come. After last nights mandatory safety brief for the pilots and then the Team Leaders meeting which went on until … 11pm we are ready. Trying to find food in Brasilia on a Monday night at 11pm however is not quite So Simple. Thank heavens for (and I’ll only say this once) Jonny Durand who has a remarkable grasp of portuguese and could charm the socks of well… pretty much any doorman of a casino/dancing ladies club in Brasilia (at 11pm on a Monday night). The man has.. talent. 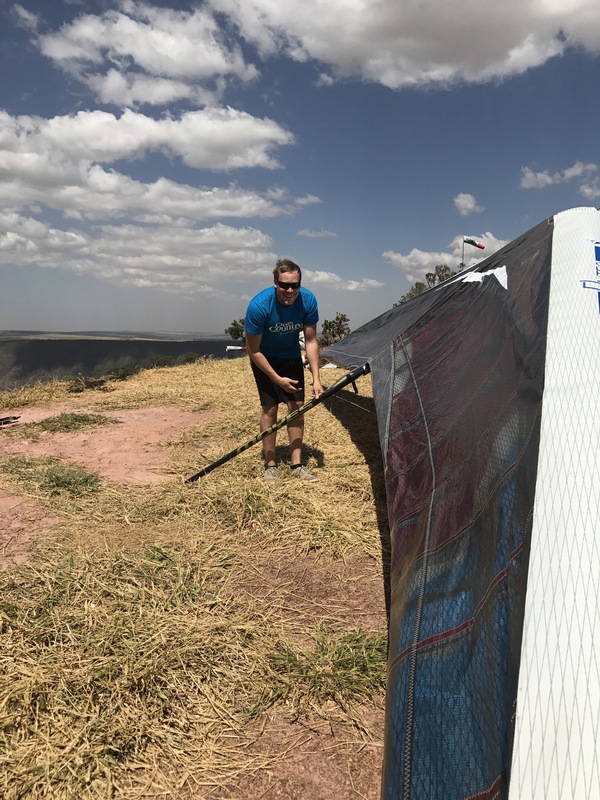 Some flew today on the official practice day (inc Steve Blackler) but the rest of the team devoted themselves to prep in anticipation of 10 days flying ahead. Early start in the am to get up to take off and get ready! Amazing music ladies who played for an hour!! The ‘other’ Vlogger.. not Twiglet is he. …and this is why we have practice days..
An even earlier start towards launch to get us better in the comp mindframe.. Task; fly to the esplanade via the mandatory TP in order to avoid airspace. Boys rigged and launched in quick time …gravity had its pull on Grant and later; Malcolm but the rest made it in to the dauntingly impressive Esplanade.. Andy first in overall with Dave and Gordon after..
Ollie had a harness disaster and had to land, sort it, relight.. with his dedicated (and justifiably proud father) Nick even running around fields kicking off dusties to help his climb.. He arrived over goal hiiiigggghhh but still aced it. Good efforts all round. 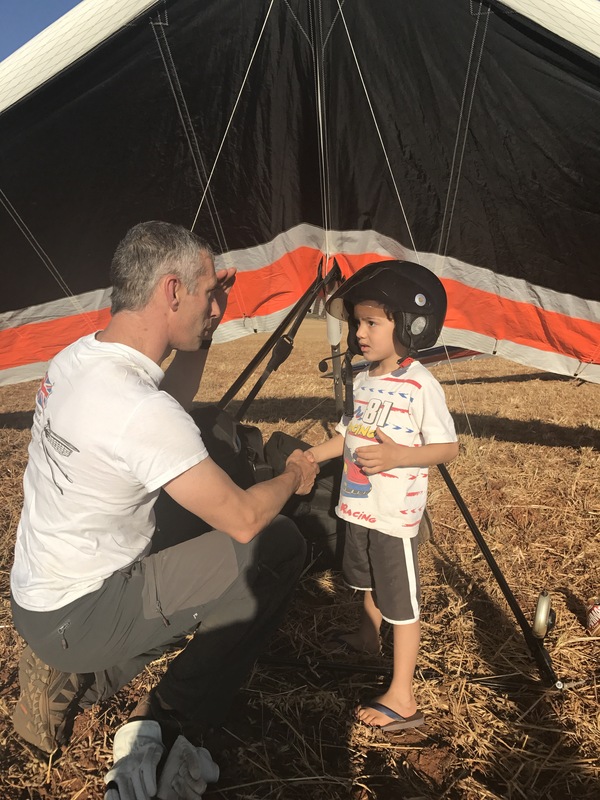 Author jenniferbuck2014Posted on August 5, 2017 Leave a comment on …and this is why we have practice days..
An earlier start to try to make the most of the day.. lucky we did as it went tailwind by 1230 leaving 40 odd pilots on the ground. 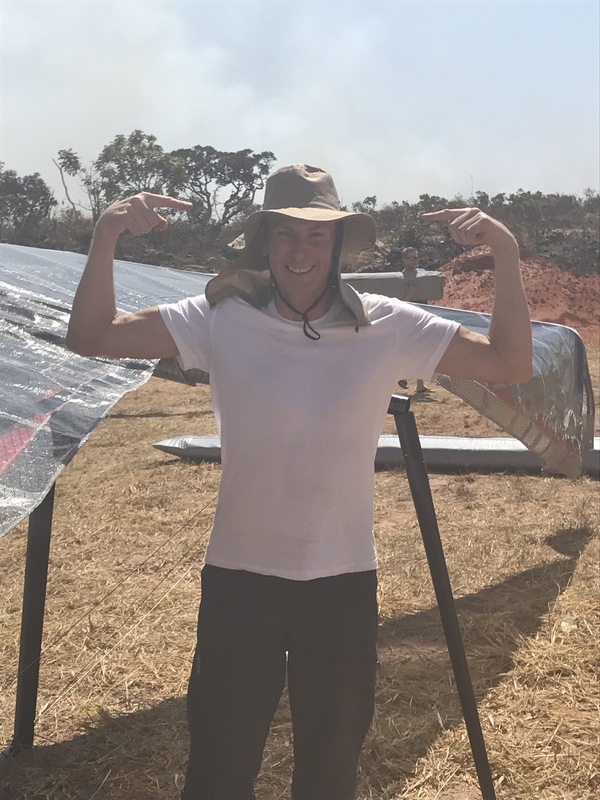 Massive dust devil went through launch, narrowly missing gliders but trashing the gazebo set up by the organisers.. Team set a 100k task to the esplanade via 3 TPs but landed at the 3rd ( north side of the lake) because of conditions switching off.. 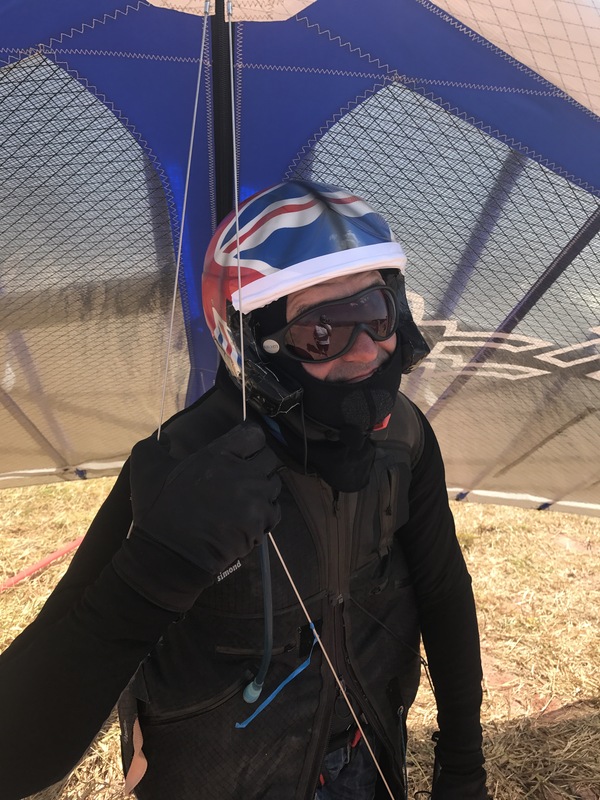 Team had a great opportunity to fly together /improve comms/improve nil wind take offs and model some essence head wear ( Malcolm )and have a blast flying this amazing country. Myself, Dave, Grant, Andy and Gordon went launch.. and conditions way better than forecast; flyable in fact! 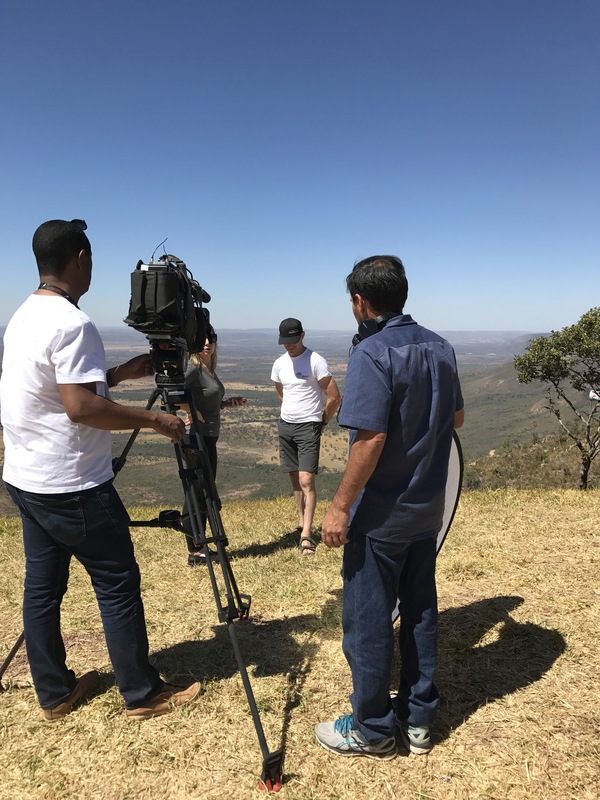 Grant became a local TV star and was interviewed for Brazilian TV.. Practice task set to Goal via 2 TPs to start familiarising with Turn points and goal fields. Author jenniferbuck2014Posted on August 3, 2017 2 Comments on An unexpected surprise..
With car faff and Team Photo done we headed off to take off. 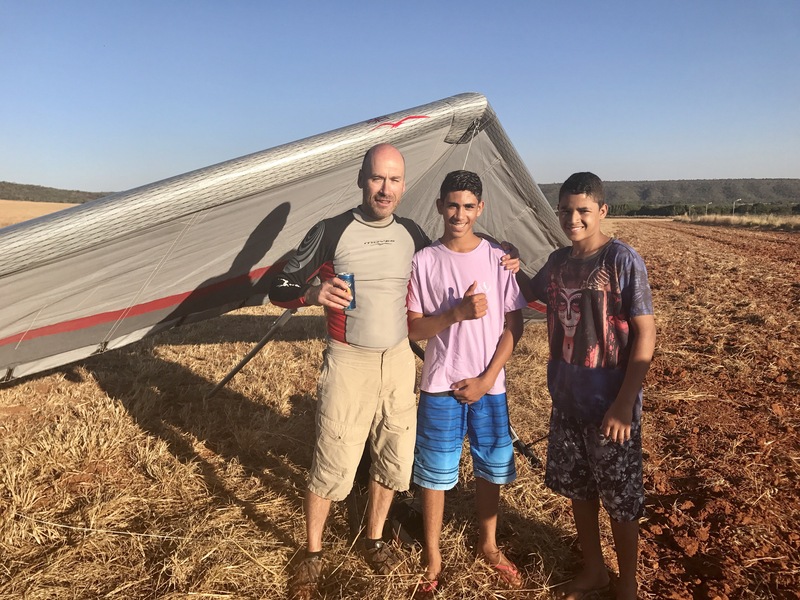 Practice 70km task set with Tom Weissenberger to goal outside the town so as to avoid the airspace that isn’t cleared yet. 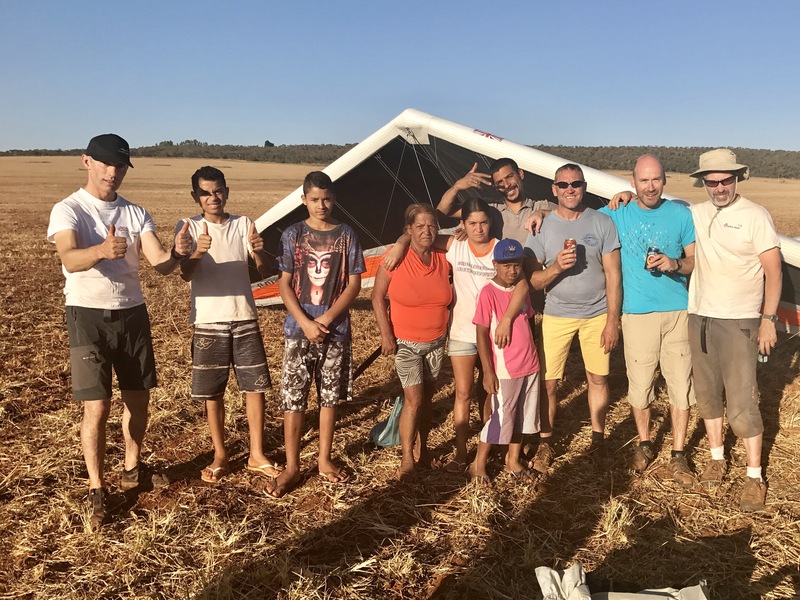 Iffy conditions at launch with a couple of non Brits going down into Hades (the 3 hour trip to the bottom landing area)..
Time for pizza and caipirinha..
Brasilia2017TeamGB Create a free website or blog at WordPress.com.